Scotland remains, as ever, the source and soul of the game of golf. A visit is equal parts history lesson and golf adventure. The modern game was born here in the 15th century. It began to flourish in the middle of the 19th century thanks to Tom Morris who invented equipment and designed courses that are still played today. 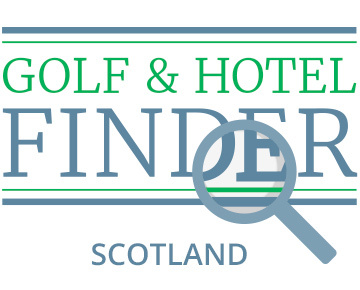 Five of the nine current Open venues are Scotland’s and you are welcome to play them all. Each is a seaside, links style layout played through dunes land along firm, uneven fairways protected by pot bunkers to avoid from tee shot to green. Better still, the most popular courses are conveniently clustered in four regions. Read More. On the east coast, in the Kingdom of Fife, is the Home of Golf at legendary St Andrews. The area is flush with links classics. Seven local courses in and around town are operated by the St Andrews Links Trust beginning naturally with the Old Course where PerryGolf proudly arranges more guaranteed tee times than any other tour operator in America. As an inaugural member of the Links Trust’s Authorised Provider program, our ability to make golf dreams come true continues to expand. The New Course at St Andrews is a classic links design by Old Tom Morris opened in 1895 and highly regarded as a superb “modernized” version of the Old peppered with its own personality. World top 50 Kingsbarns is found 10 minutes south of town, near the delightful Fairmont St Andrews golf resort with The Kittocks and Torrance courses. Just beyond is Crail, the 7th oldest club in the game, enjoyed for its charming authenticity. Less than an hour north of St Andrews is regular host of The Open, Carnoustie, widely considered to be the most challenging layout in the rota. The magic here isn’t just the golf because St Andrews is complemented by the equally unique medieval town turned cultural and university center hotshot. It’s been a special place from the beginning. The “Auld Grey Toon” takes its name from Saint Andrew the Apostle, brother to Simon Peter. There has been an important church in St Andrews since at least 747 AD. The town as we know it now was established around 1160 two years after the Cathedral was finished. It is one of the largest and most important archeological sites in the UK. The Castle has been built and destroyed many times, presently leaving an impressive set of ruins that date to 1400. Golf emerged in the middle 15th century. What we have today is a charming, vibrant enclave of less than 20,000 people with ridiculous history along with more restaurants, shops and pubs than you could hope to visit in two trips. Not to be missed, in the Saint Andrews Cathedral Graveyard, are the gravesites of Old and Young Tom Morris. Both are fathers of our game. Ninety minutes south of St Andrews and 30 minutes from Edinburgh is East Lothian where you will find yet another collection of clubs representing the essence of links golf. Sixteen-time Open host Muirfield, the three courses at Gullane, as well as the rustic gems of North Berwick, Dunbar and Craigielaw are situated in succession along the coast each owning histories reaching back to the roots of the game. In Edinburgh, the capital of Scotland, stroll the Royal Mile, a succession of streets stretching from Edinburgh Castle to Holyrood Palace. Take in Parliament or study the intricate Georgian architecture in the Old Town is where you will find the greatest collection of historical buildings. Relax in the gardens along Princes Street in the New Town, which is the city’s shopping center. The capital is home to dozens of cultural celebrations like The Jazz and Blues Festival in July and the world-famous Military Tattoo performed every August on the Edinburgh Castle esplanade. On the west, Ayrshire Coast, 2 hours from St Andrews, you'll find the magnificently remodeled Ailsa Course at Trump Turnberry along with fellow member of The Open rota, Royal Troon where Henrik Stenson, Arnold Palmer and Tom Watson have won the Claret Jug. Enjoy the links at Western Gailes and not to be missed is Prestwick, a true throwback steeped in history as the site of the first Open in 1860. Across the Firth of Clyde on the Mull of Kintyre, those possessing the deepest love of links golf will relish a shot at venerable Machrihanish along with impressive newcomer Machrihanish Dunes. Not only would a visit distinguish the career of any traveling golfer, it is also an opportunity to explore one of Scotland’s most famous whisky distilling regions. Furthermore, the Crathes Castle is a desired destination, tucked among the yew trees and set apart by its painted ceilings and family portraits. Glasgow nearby is Scotland's biggest city serviced with a range of international airlines. The city has evolved from a heavily industrial center to become one of Great Britain's most intriguing metropolises. From the soberly handsome Victorian buildings, legacies of wealth generated from manufacturing and trade, museums to the stylish bars, excellent restaurants and one of Britain's best live-music scenes to complement world class shopping, the city is truly captivating. Nearly three hours north of St Andrews is Inverness in the Scottish Highlands. From here you’ll play famous Royal Dornoch, whose plateau greens are a trademark design feature that Donald Ross took from his home course and used on many of his classic designs in the States. Fifteen minutes from Inverness is the exceptional Castle Stuart, a Mark Parsinen – Gil Hanse collaboration voted the best new course in the world in 2009 by Golf Magazine. Nairn, Dunbar, Brora, Moray and Tain are longstanding “hidden gems” enjoyed by northern visitors who will also want to enjoy Royal Aberdeen and Cruden Bay either on the way up or back as well as hit the tee at the striking Trump International Scotland. The heart of single malt whisky production in Scotland is located between Aberdeen and Inverness in Speyside. Iconic brands like Macallan, Glenfiddich and The Glenlivet are found here along with nearly 50 other distilleries. The Dunrobin Castle, which resembles a French chateau, is the largest in the region with189 rooms. It has been inhabited continuously since the 13th century. PerryGolf is uniquely qualified to provide a range of unforgettable golf vacations to Scotland. We have defined the experience since the company was founded in 1984 by Scottish brothers Colin and Gordon Dalgleish. Our Custom Tours combine the personalized requirements for golf, lodging, sightseeing and local transportation into a seamless itinerary for groups of men, women and couples. They can be enjoyed as a self-drive tour or in the comfort and convenience of a PerryGolf VIP coach with a Concierge Driver who will handle every aspect of your trip. The Escorted Tours we operate are fully managed, fixed itineraries that feature equal parts golf and sightseeing for parties of as many as 30 golfers and non-golfers who enjoy the opportunity to travel in the company of like-minded new friends. Our annual Golf Cruise of the British Isles will visit Scotland along Ireland and England with attendance included to golf’s oldest major championship, The Open.